I had a friend tag me in this on Facebook and I HAD to do it! I went shopping in my favorite place (my parents house haha) and I searched for an old rusty cheese grater. I FOUND ONE! They have everything and best of all, its all free ;) I decided I wanted to put it above my kitchen sink. 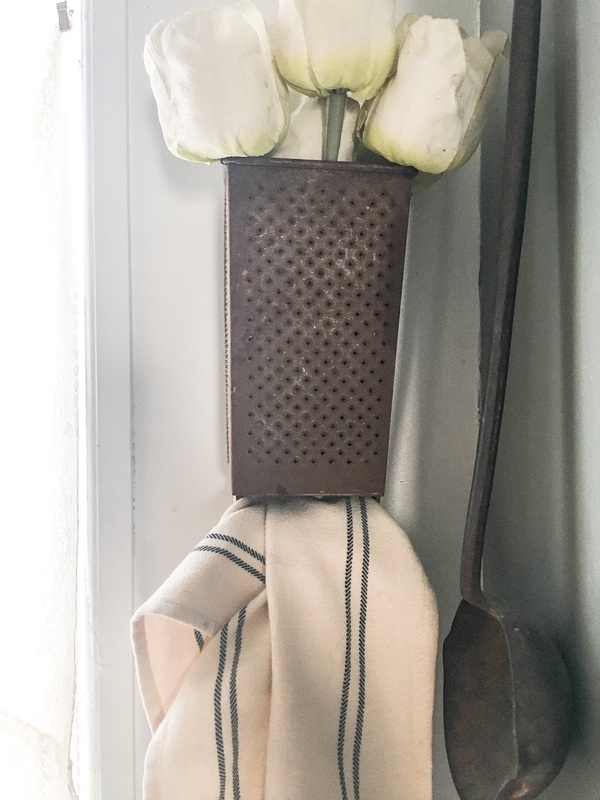 I grabbed some faux tulips from my stash and stuck them in the top. I put a nail in the wall and used the big hole side to hang it up with and BAM! 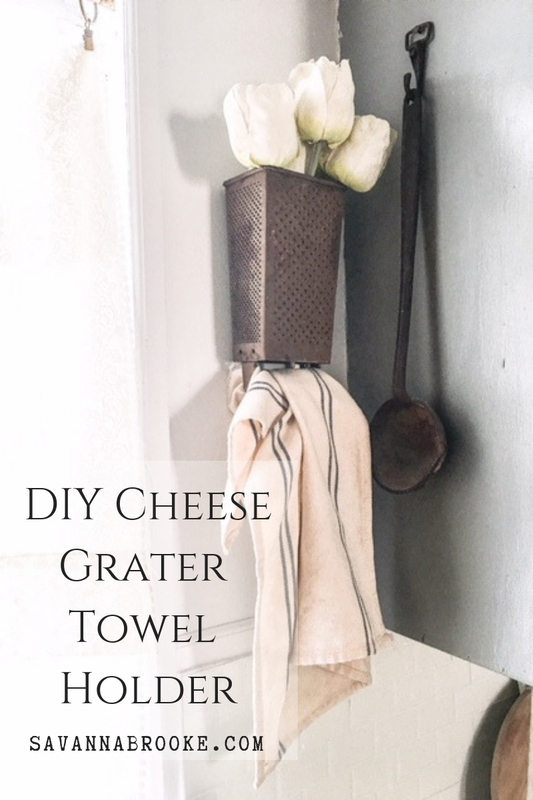 Its a super cute cheese grater towel holder! I love it so much. 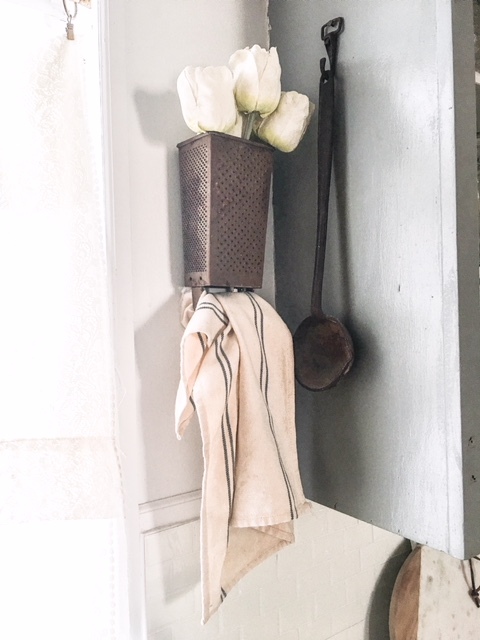 I'm super excited for spring so adding these white tulips made me smile way big. I hope you enjoyed and got some inspiration for your own home. Bjorn started back at school and I feel like a normal person again... Anyone else?! LOVE YOU thank you for reading!! !